My father’s halls were dark and silent. His palace was a neighbor to Oceanos’, buried in the earth’s rock, and its walls were made of polished obsidian. Why not? They could have been anything in the world, blood-red marble from Egypt or balsam from Araby, my father had only to wish it so. But he liked the way the obsidian reflected his light, the way its slick surfaces caught fire as he passed. Of course, he did not consider how black it would be when he was gone. My father has never been able to imagine the world without himself in it. Not unlike a a coming-of-age story, Circe discovers her magical powers through a series of incidents, which involve her, in a fit of jealousy, turning the sea-nymph Scylla into a many-headed sea monster, and is therefore banished and confined to the uninhabited isle of Aiaia, where she then reflects on and builds her identity. This is where most of the action of the novel takes place after the first quarter. The pace slows down, as Circe gets accustomed to her island, and the rest of the novel, essentially, depicts her encounters with different visitors. Most famously, for those familiar with Homer’s Odyssey, it shows several groups of seamen turned into pigs. This was the one moment I was specifically looking forward to in order to see how Miller handles the why of the metamorphosis, and she does it magnificently. As it happens, most of the men who come to the island and feast on her food find it hard to believe that there is no patriarch: “When will your husband be home?” they ask. There is not one, she says, and they respond: “Then perhaps there is some other host we should thank? An uncle, a brother?” This culminates in a disgusting scene, one you may infer by the fact that Circe is surrounded by a horde of horny seafarers, after which it is hard not to root for Circe. Later, years later, I would hear a song made of our meeting. The boy who sang it was unskilled, missing notes more often than he hit, yet the sweet music of the verses shone through his mangling. I was not surprised by the portrait of myself: the proud witch undone before the hero’s sword, kneeling and begging for mercy. Humbling women seems to me a chief pastime of poets. As if there can be no story unless we crawl and weep. 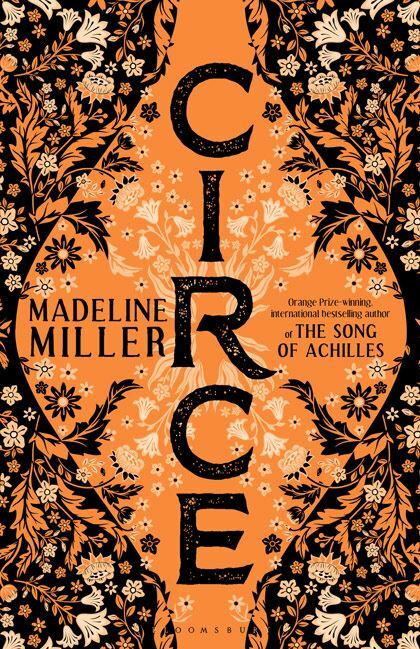 Miller is a masterful storyteller, as well as incredibly knowledgeable in the subject matter, which means that not only is Circe a page-turner, but it is also informative in a good sense. For sure, some of the legendary characters seem a little two-dimensional or unnecessary: the fall of Icarus, for one, is described in a brief paragraph that does not necessarily serve the story in any profound way. Also, it feels that Miller is hesitant to show her poetic side until the very final page, which has probably the most beautiful scene in the novel thanks to the language. Yet, all in all, it is a mesmerizing book, one that, I believe, would survive even without all the massive promotional campaigns or the gilded cover art.